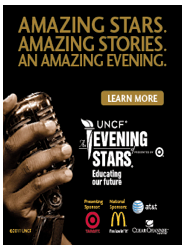 Please join us, and the rest of San Diego’s UNCF supporters, for our An Evening of Stars® (AEOS) Super Viewing Party. AEOS, formerly the Lou Rawls Parade of Stars®, is credited with helping raise more than $200 million for UNCF scholarship recipients and member institutions. Please come out and join us at our local celebration here in San Diego.The evening will include dinner, live entertainment, and lots of fun for all! Pamela K. Davis Many San Diegans remember Pamela Davis as the anchor for the number one weekend newscast on KFMB, Channel 8. Reporting local and national stories, she was a featured correspondent on CNN, HBO’s Real Sports and the CBS news magazine “48 Hours.” In addition to the rigorous duty of covering the top stories, she was the original producer of “Adopt 8” featuring children in the foster care system. As a result, nearly 300 children were placed into permanent homes. 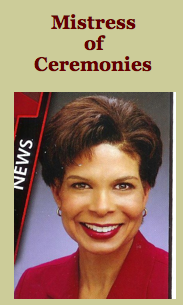 Please join Ms. Davis as the Mistress of Ceremonies for the 33rd showing of the UNCF An Evening of Stars Super Viewing Party here in San Diego on January 21, 2012 at the Jacobs Center. Click HERE to learn more about Ms. Pamela K. Davis.